With its magnificent views of the Rocky Mountains, Folsom Field is one the most picturesque stadiums in the Pac 12. Prior to playing at Folsom Stadium, the Colorado Buffaloes played at Gamble Field from 1890 until 1923. By the 1920s as support grew for the team, a new stadium was needed. Colorado President George Nolin led the effort to get a new stadium built for the Buffaloes. Construction of the $65,000 stadium began in January 1924. Originally known as Colorado Stadium, it was completed in less than ten months when the Buffaloes battled Regis College on October 11, 1924 as 26,000 fans packed the stadium. In 1944, Colorado Stadium was renamed Folsom Field in honor of legendary football coach Fred Folsom. 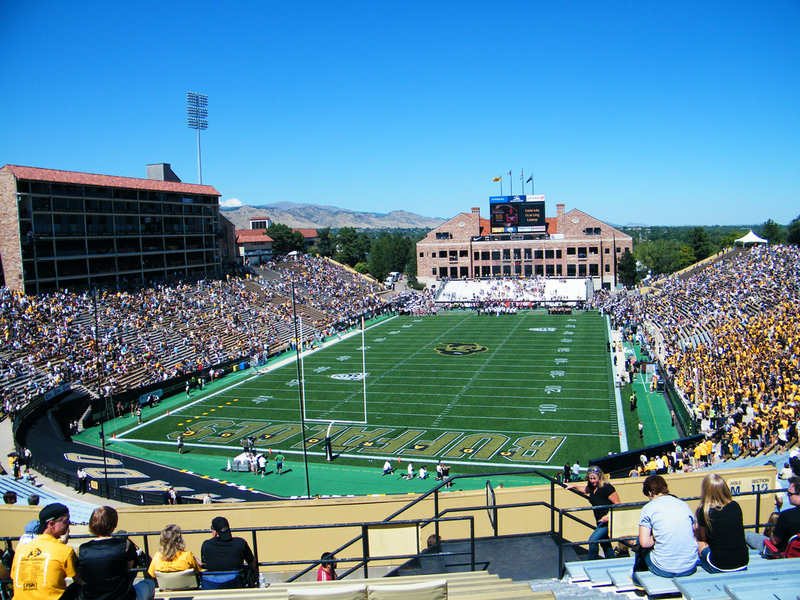 As support for the team continued to build, Folsom Field was expanded. The first expansions occurred in 1956, when the upper deck was added around the majority of the stadium increasing the capacity to 45,000. By the 1967 season, the track was removed from around the field and 6,000 seats were added, along with the construction of new locker rooms on the north side of the stadium. One year later a massive six story press box was constructed. 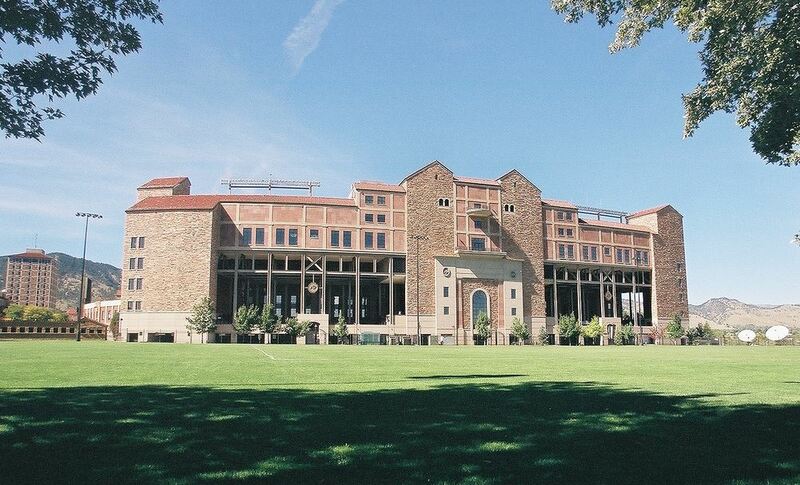 Three years later artificial turf was installed at Folsom Field replacing the natural grass. Before the 1976 season, the wooden bleachers were removed and replaced with aluminum seats boosting the capacity to just over 52,000. The Dal Ward Center and new bleachers on the north side of the stadium were constructed in 1991. Luxury suites and club seats were added to the stadium in 1995 and 2003. The newest additions to Folsom Field are two new digital video boards that were added to the north and south ends of the stadium in time for the 2012 season. Today, Folsom Field has a seating capacity of 53,613. Fans attending games at Folsom Field see one the most famous pregame traditions in college football. Ralphie, the team’s 500 pound buffalo mascot, with the care of five handlers, leads the team onto the field before each game.